Being vegan is an ever evolving journey that everyone needs to do at their own pace. When I decided to go vegan, it was completely dietary, I didn’t want to consume animal by-products anymore. After becoming involved in the community and meeting other vegans, I realized I needed to start researching the beauty products I was using and stop buying the non-cruelty free items. Why would I give up eating animal products, just to be smearing them all over my face and body on a daily basis? 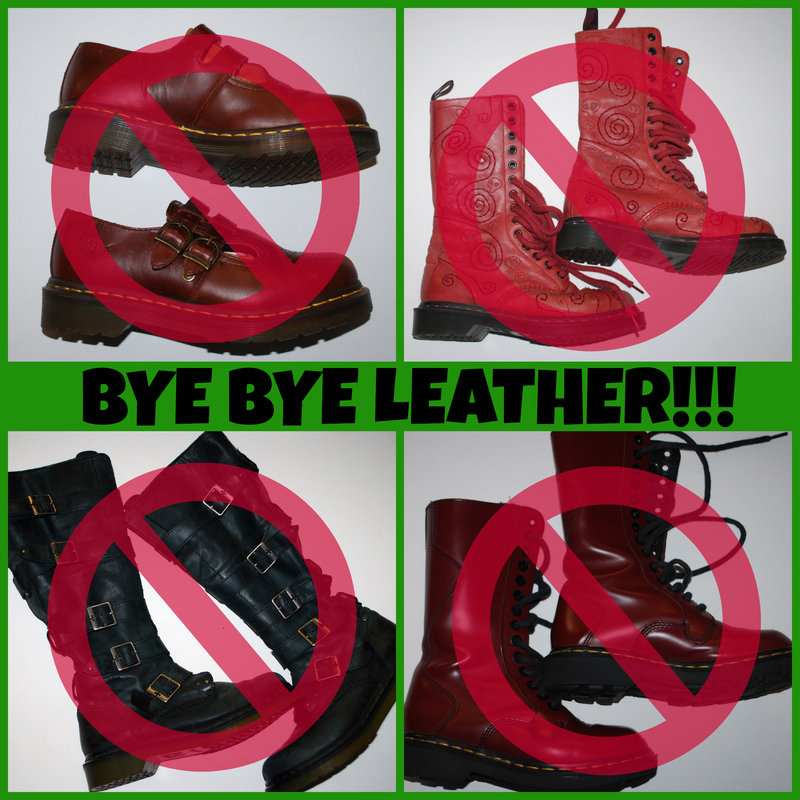 At this point I also decided to no longer buy leather products, but I wasn’t quite ready to give away the things I already owned such as belts, purses and my beloved Doc collection. More and more though, as I would reach for those things to wear or use, my heart would feel heavy and sad and I would change my mind. But the part of me that tends to hold on to things for their memories still wasn’t ready to get rid of them. So they sat in my closet, untouched, for over a year. A couple weeks ago, upon packing up my closet to move to our new apartment, I finally made the decision to let go. I couldn’t justify hanging on to something that was created by taking the life of another living being simply for the personal sentimentality it held for me. So I am saying goodbye to that part of my past, and finally ridding my life and my closet of leather. I am certainly lucky to live in a day and age where I can easily find quality cruelty-free items to eventually replace all that I’m purging (even VEGAN Docs! – I am anxiously awaiting the day they offer 14 hole vegan boots). My hope is that more and more people, vegan or not, realize that you don’t have to support cruelty to be fashionable.